Thomas Dunne Books, 9781250048400, 240pp. 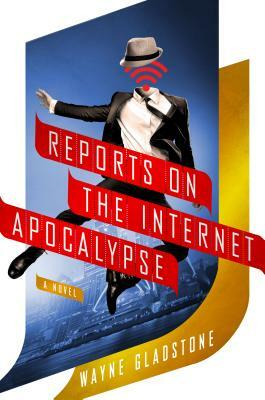 In Reports on the Internet Apocalypse, the third and final installment of the Internet Apocalypse Trilogy, Gladstone, the would-be Internet Messiah, finds himself in exile from America, falsely accused of terrorism and murder. Meanwhile, a government Special Agent is hot on his trail and has joined forces with a first-time Hollywood producer bent on optioning Gladstone’s story for film. Reports on the Internet Apocalypse brings to an end the dystopian trilogy that imagines a world forced to face itself in real life. "From the opening pages of the Internet Apocalypse Trilogy, Wayne Gladstone masterfully embarks on a dreamy story filled with characters both comical and terrifying, anchored in a world both familiar and inventively surreal and written with great wit."